Gossip Slots is part of the Drake Casino Group, a well established gaming group that works under the jurisdiction of Curacao. 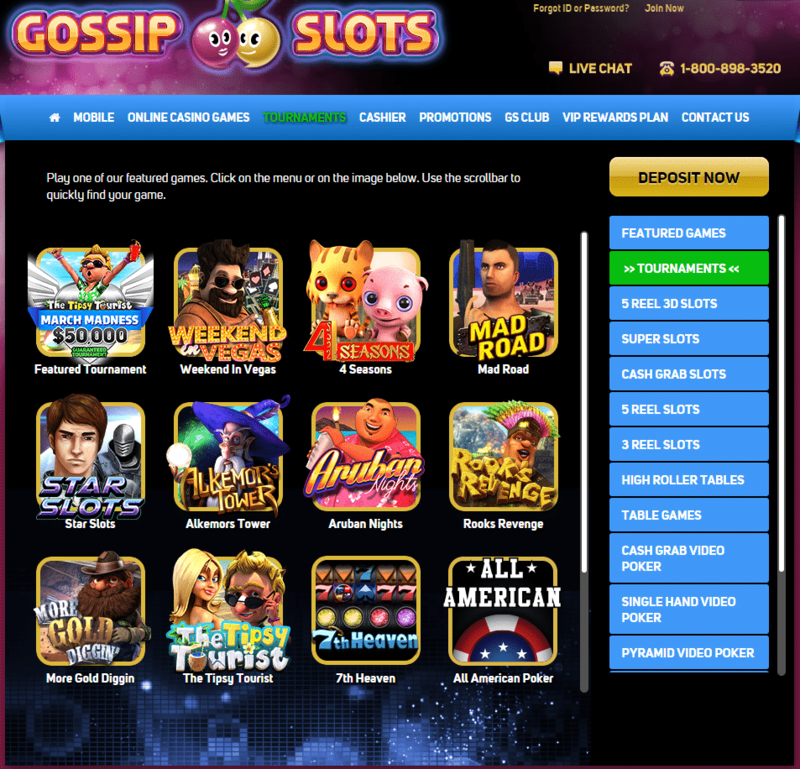 Gossip Slots was launched in 2013 and it uses games developed by Arrow’s Edge and Betsoft. Even though, as the name suggests, this gaming site is focused on providing a fantastic slot offer, players at Gossip Slots Casino can enjoy a wide range of other games such as roulette, poker and blackjack variants. However, the main reason why those that enjoy gambling with bitcoin should give Gossip Slots Casino a try is the fact it supports this popular virtual currency. Therefore, players can top up their account with coins and then cashout winnings in the currency as well. Gossip Slots Casino has a rich game selection of over 160 titles. Part of the games are powered by the not that popular Arrow’s Edge software, while the other half is supplied by industry leader Betsoft. The games at this gaming site are available in practice mode to both registered and unregistered players as well as in real money mode. They all come with thrilling bonus features and amazing graphic effects; breathtaking graphics is especially recognisable for Betsoft slots that come with 3D animations and realistic characters. Finding your preferred type of Bitcoin slot at this site is fairly easy since all games are neatly categorised in 5-reel slots, 3-reel slots, super slots, 3D slots and etc. Some recommended titles featured at Gossip Slots Casino are At the Movies, Rooks Revenge, Shopping in the Hills and Showcase. When it comes to other types of games, Gossip Slots features a good selection of table (Zoom Roulette, Craps, Casino War) and card (Single Deck Blackjack, Tri Card Poker, Baccarat) games as well as various types of video poker titles (Cash Grab, Pyramid, Single Hand). 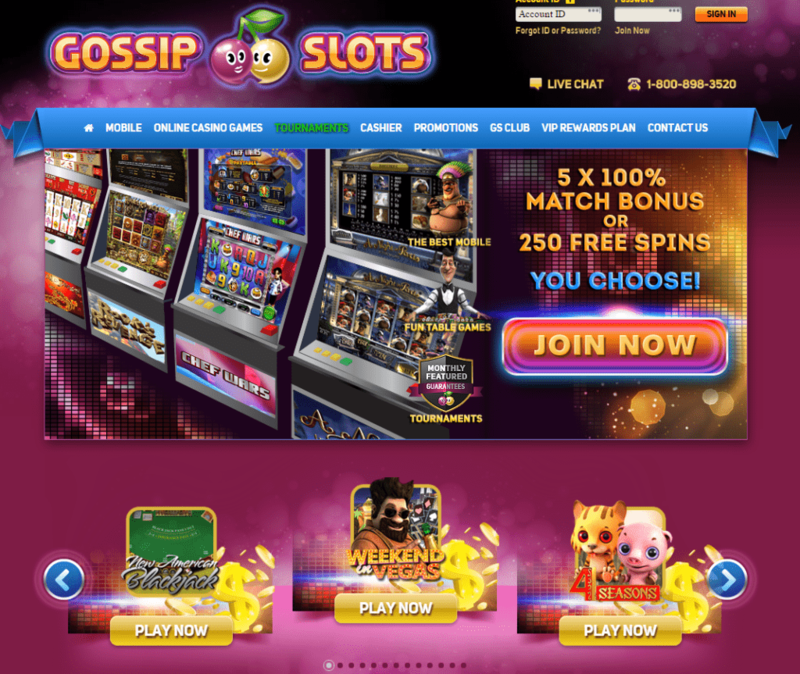 Newly registered players at Gossip Slots Casino can choose between two welcome offers. 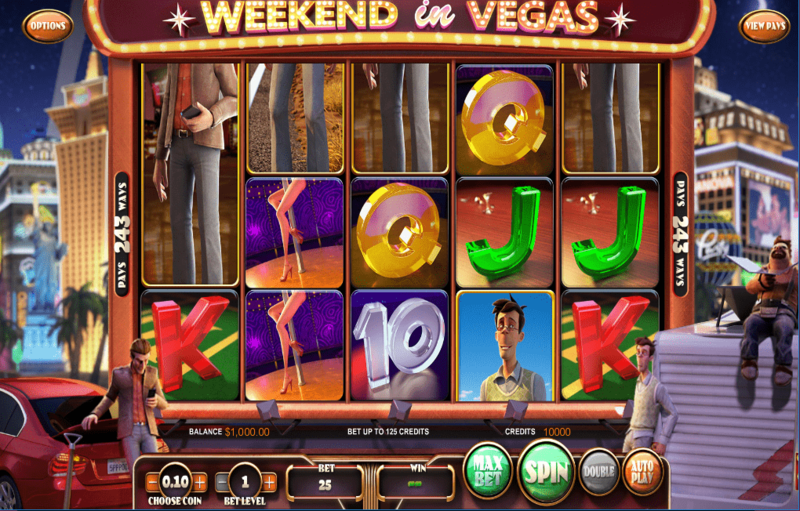 The first one includes five 100% match bonuses up to a total bonus amount of $5,000. The second offer, on the other hand, treats newbies with 500 free spins. 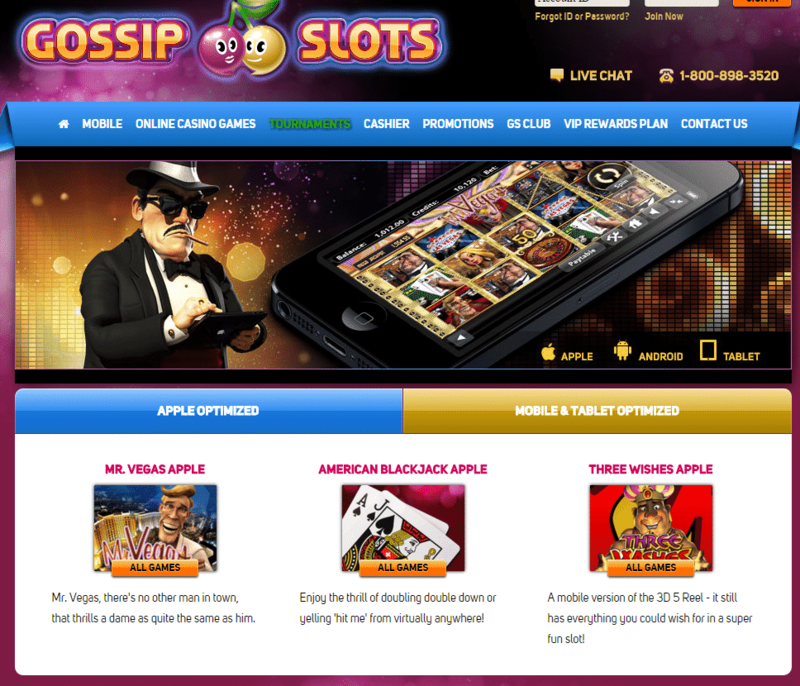 Gossip Slots Casino is fully optimised for smartphones and tablets. Therefore, owners of Android, iOS and Windows mobile devices can visit the casino using their smartphone/tablet and start any of the games featured at the web app. 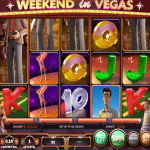 Same as the regular casino, the mobile casino offers games by Arrow’s Edge and Betsoft. Thus, players can try Gladiator, The Tipsy Tourist, Days of Our Slots and etc. Besides being able to use popular banking methods such as Visa, MasterCard, Neteller and so on, players at Gossip Slots Casino can make deposits and withdrawals in bitcoin. However, it has to be pointed out that this method is not available to US players. The minimum deposit amount for bitcoin payments is $10, while the maximum deposit amount is $2,000. Bitcoin cashouts cannot be lower than $300, whereas customers can withdraw a maximum of $2,000 per week. Both bitcoin deposits and withdrawals are free of charge. If you want to experience a real VIP treatment at a well established online casino destination, you should try playing at Gossip Slots Casino. This online casino attracts customers with lucrative bonuses and then enchants them with its fantastic game offer and thrilling tournaments. Several top reasons for joining this operator are the excellent VIP rewards program, the professional customer support service and the massive jackpots. If you’re a bitcoin fan – don’t worry; Gossip Slots Casino accepts both payments and withdrawals in this fan favourite currency. Therefore, you’ll be able to claim bonuses and win prizes using the most popular cryptocurrency in the world.